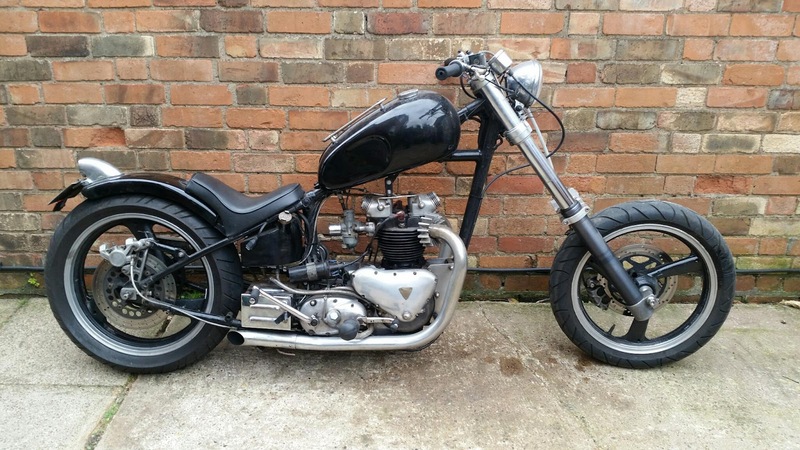 benchdonkees: Random brought his Triumph round last week for some modication. 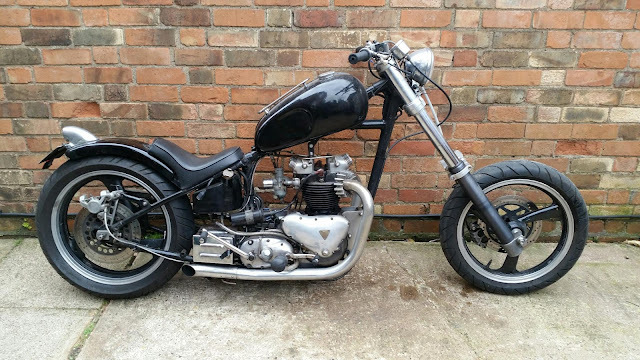 Random brought his Triumph round last week for some modication. 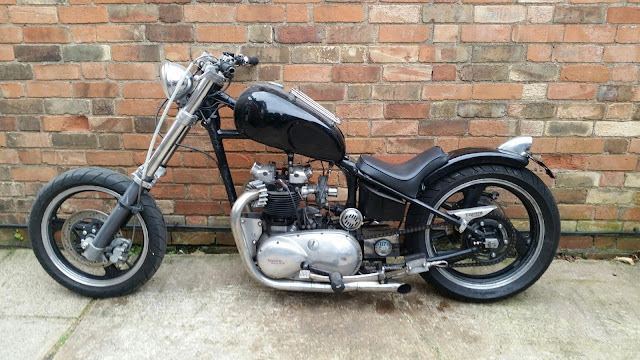 It's a Speed Twin engine in a rigid BSA frame built some time ago when big fat forks and sports bike wheels were cool. The plan is to junk everything but the engine and frame and go for a more traditional look. Why junk everything? 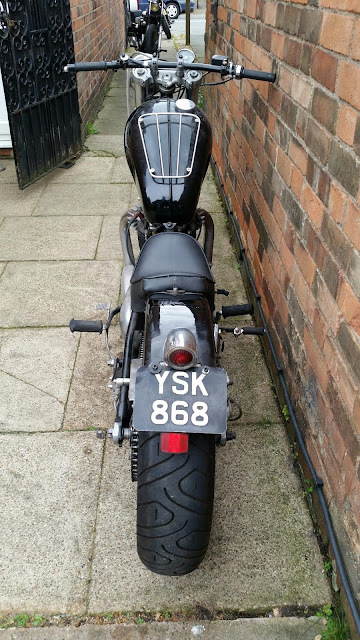 I think those 17" sportbike wheels are waaaay cool.